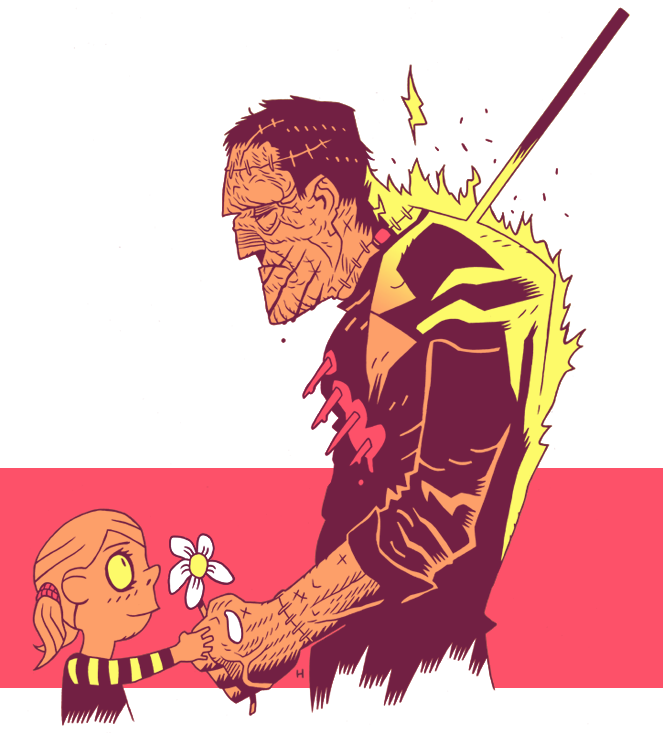 did you get the idea for this gentle frank from Monster Squad? We in the Hipp house have always been sympathetic towards the Monster (poor guy) in any of his incarnations, so it's more an all-around homage. BUT I LOVED Monster Squad when I was a kid.